The Pirate Bay recently announced plans to move content away from their servers and into the cloud. It’s a change they say will help protect them from attacks and make them virtually impervious to court-ordered server raids. 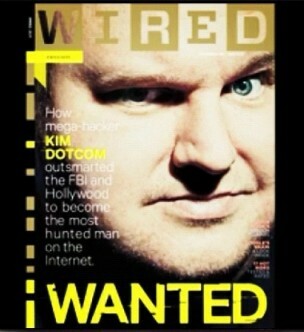 Dotcom and business partner Mathias Ortmann revealed alternate plans for MegaUpload’s successor to Wired just one day removed from TPB’s announcement. The new service, dubbed Mega, will require users to encrypt data using the AES algorithm prior to uploading. Mega will then provide a unique decryption key that will be required to use the uploaded material. Encryption will reportedly ensure that user’s files are safe and secure and that Mega will be completely oblivious as to the content of data uploaded to their servers. The latter should protect the service from accusations that they knowingly store copyrighted materials, a claim used against Dotcom in the MegaUpload case. Furthermore, Mega plans to operate servers in several different countries that mirror data from other locations. In the event that a group of servers goes down due to legal intervention or even a natural disaster, files will still be available from other locations. They aren’t anticipating any legal problems because they claim to fully comply with all the laws of the countries they place servers in. Following the events that took place with MegaUpload, however, we can’t blame them for being overly cautious this time around.